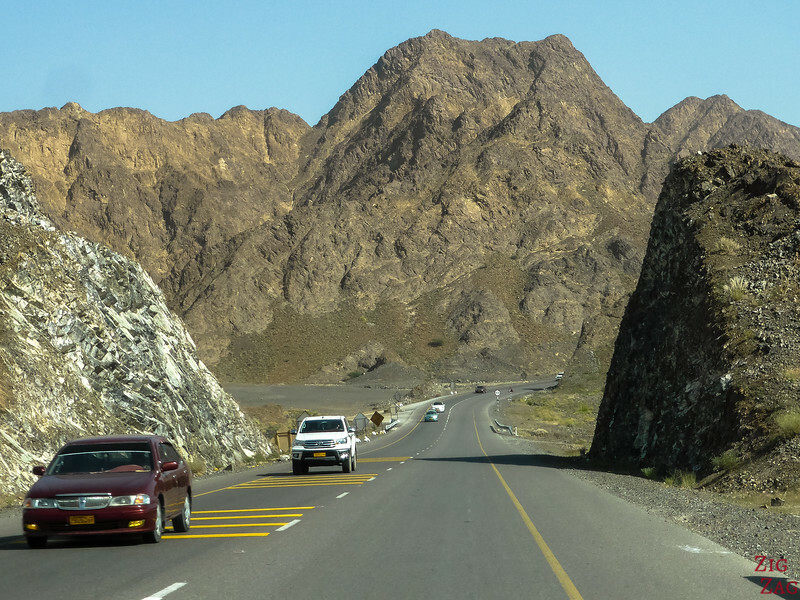 Planning on driving in Oman? Preparing for a self-drive road trip? 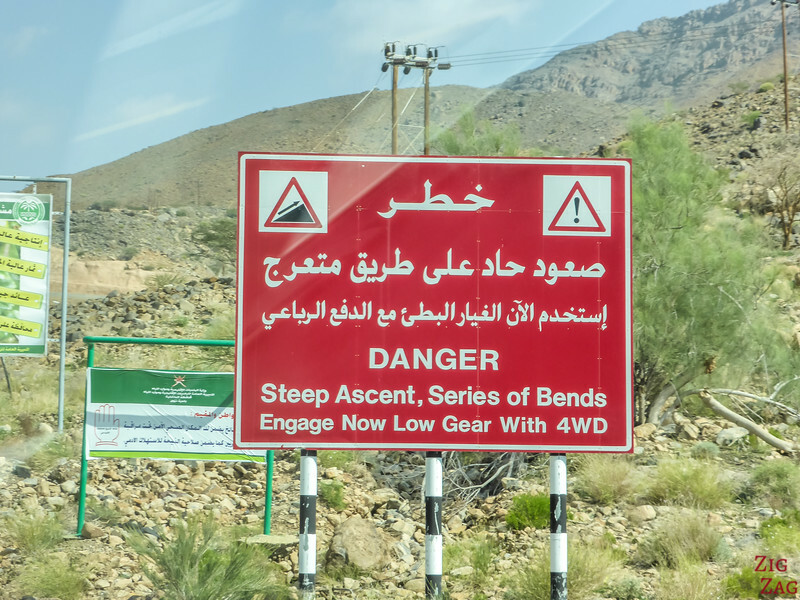 This guide will tell you all about road conditions, safety tips, off road options, traffic and road signs, car rental in Oman... Plus a video to help you visualize. 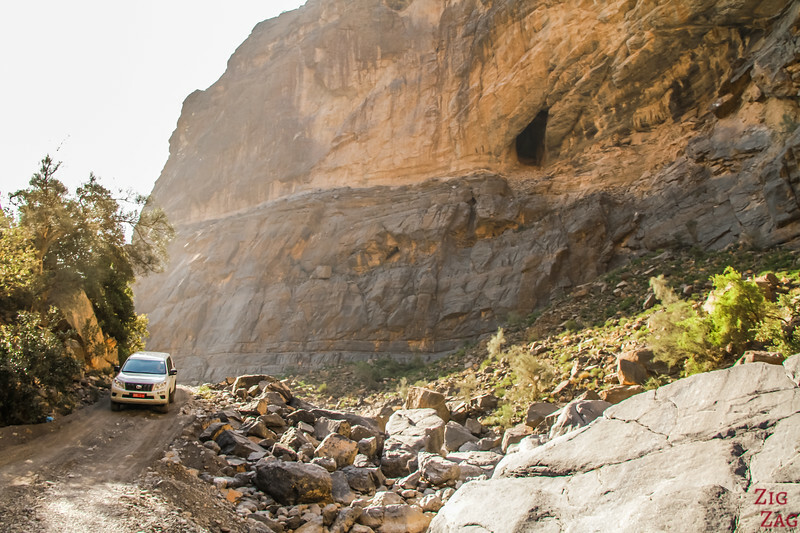 All you need to feel reassured to plan a road trip in Oman. 4WD car or normal car? 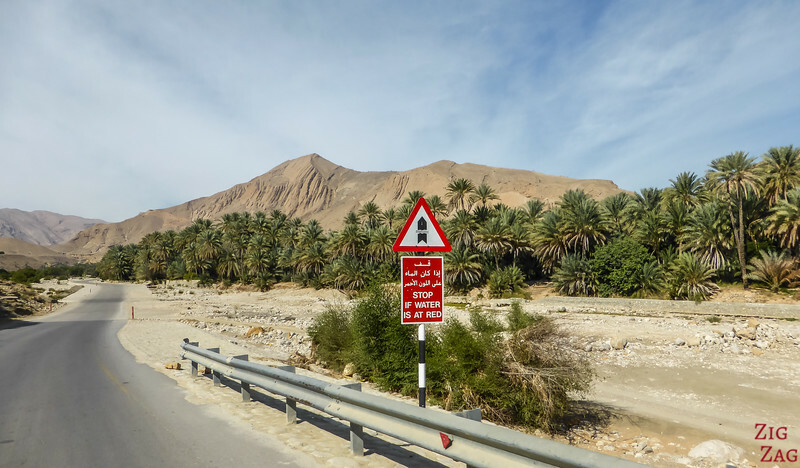 Generally speaking, driving in Oman is quite easy. 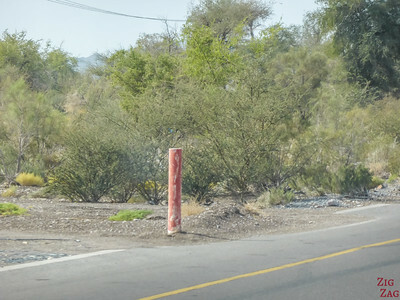 There are recent roads in excellent conditions connecting all the major cities and touristic places. 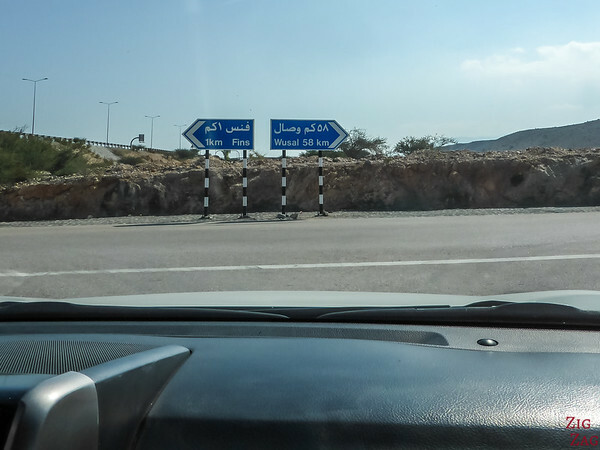 And road signs are also in latin alphabet making it easy to navigate. You can watch the video below to get a better feel for what it looks like. 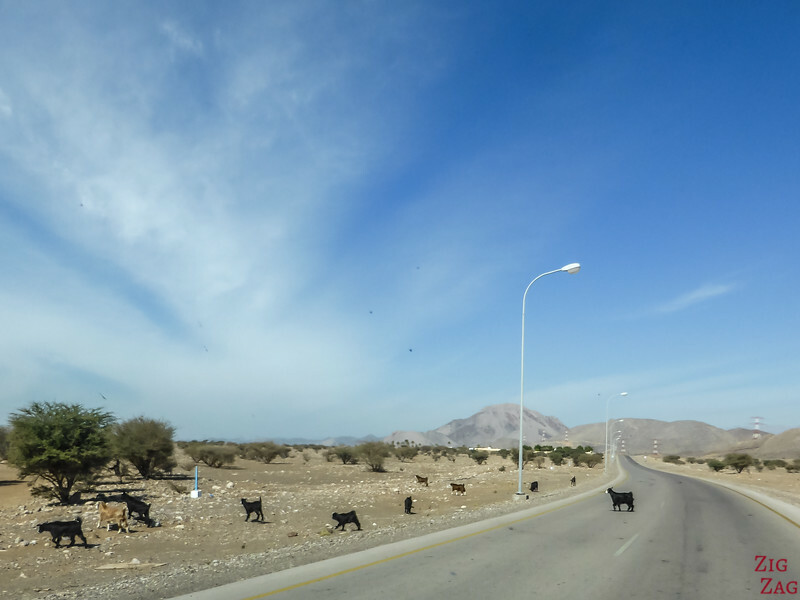 Let's start with a short video to show you what to expect in Oman when driving through towns or villages, on the main roads, in the mountains and off road. It also show you some of the dangers you should be aware of. Public transportation is limited and private guides get really expensive on long trip. Considering the low price of petrol, I think self drive is definitively your best option. 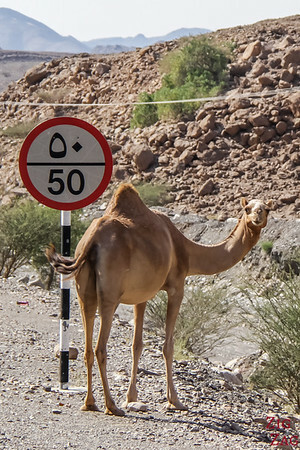 Don't worry, as you have seen in the video before, driving in Oman is very easy. The roads are modern and in good conditions. There are a few things to be aware of but generally it is really safe.​ Like everywhere you have some crazy drivers (especially with taxis) but mostly people are quiet and calm. All the classic car rental companies are available in Oman. Destination Oman has a list with some prices for comparing. I don't know how current it is though. Take a good insurance. I always recommend it for peace of mind. Get a GPS - there are many signs and not that many roads but some locations are not always on it. Plus inside Muscat it would allow you to focus on the traffic instead of the map. You can also add Oman to a trip to the Emirates. 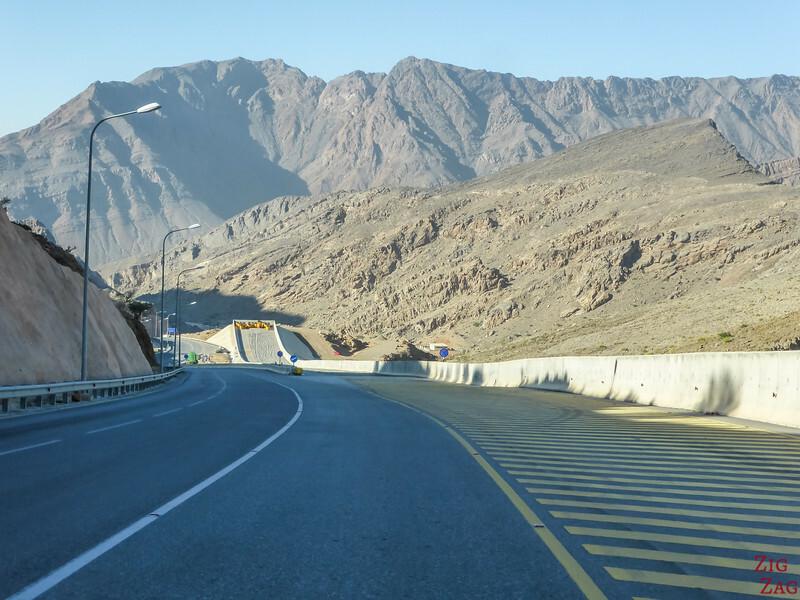 You can travel from Dubai to Oman by road. It is an easy drive. If you have rented your car in Dubai or Abu Dhabi and want to take a side trip to Oman, first make sure the rental agency allows it. Then take the extended insurance to cover your time in Oman. 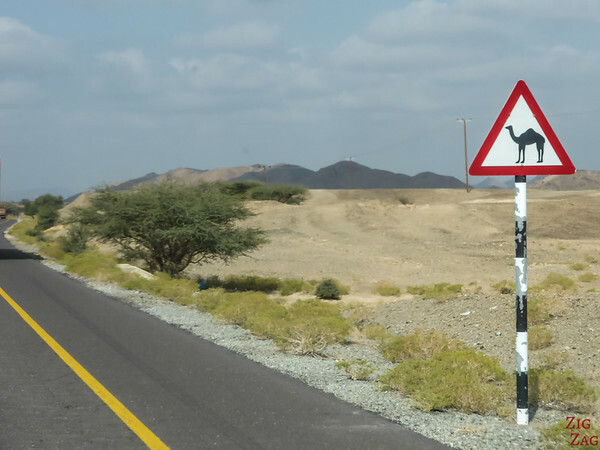 Proof of insurance will be requested at the Omani border. But apart from that, you can drive straight through the border showing your passport at both borders.​ Plan 5 hours to get to Muscat from Dubai. Otherwise a saloon car is sufficient. 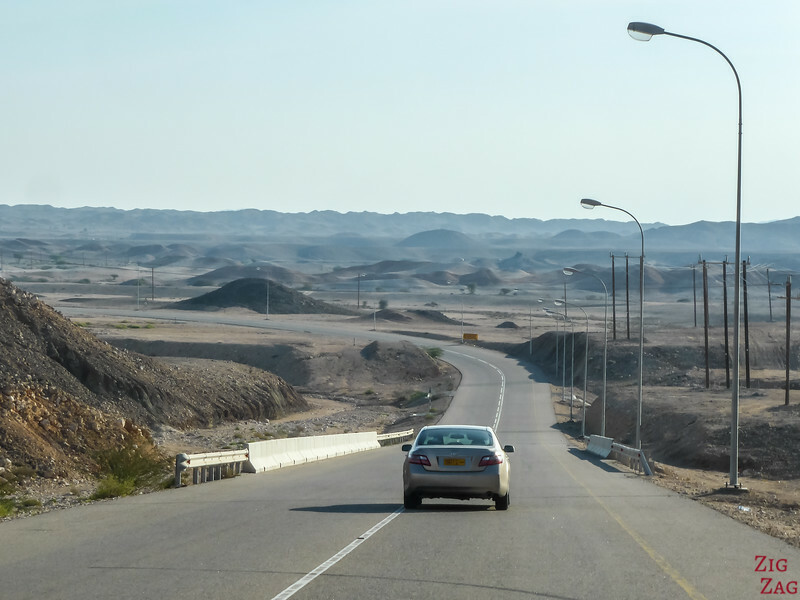 Even to get to Jebel Shams as it is paved almost all the way (still 7 km of dirt road towards the top but in good condition if it has not rained before). Speed limits are enforced. There are many radars plus cars start beeping over 120 km/h. Speed limits are clearly indicated. However you will always have local overtaking you at high speed. Just let them go and enjoy the scenery. 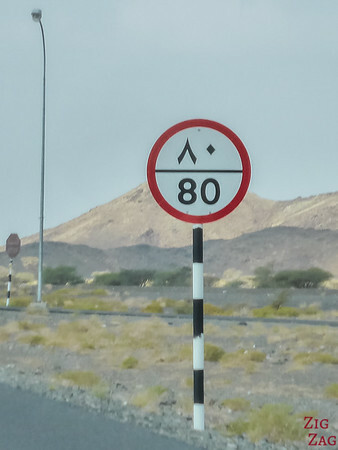 Traffic signs are typical, nothing fancy.Speed is measured in km/h, and signs are according to the ISO (European) system. The figures are dual language with Arabic numbers at the top within the same sign. Also note that there are speed reducers absolutely everywhere in towns and main roads, before crossing, turns, wadi river beds etc... Don't forget to slow down, it gets uncomfortable otherwise. 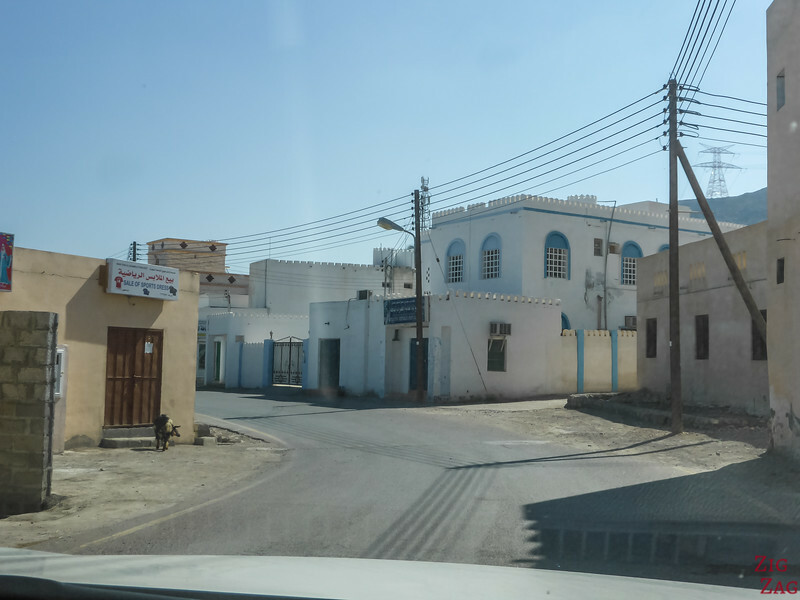 There are often checkpoints with the Royal Omani Police. Just present your passport, driver license and insurance documents. Be respectful and all is fine. In small town and in single lane roads and even sometimes on bigger road you can have camel or goats crossing unexpectedly. So keep focus! 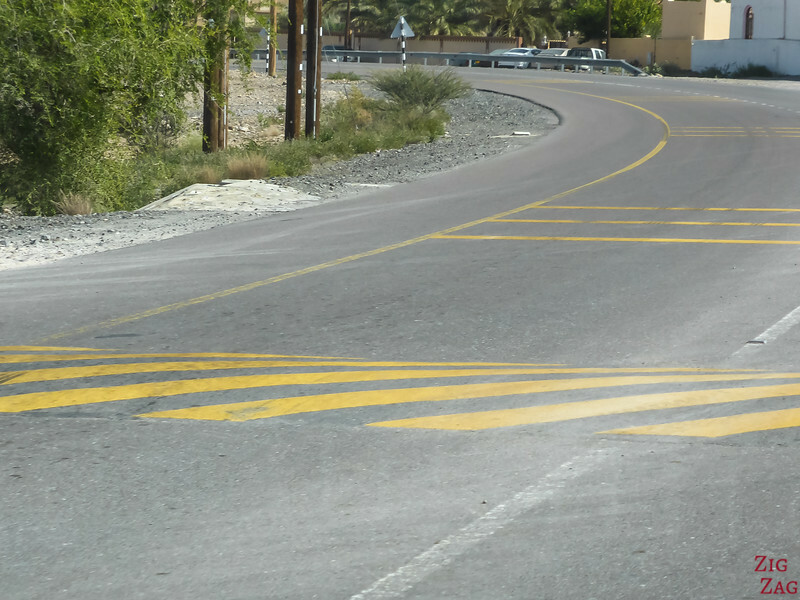 The main danger and cause for the high number of fatalities in Oman are the straight road. Especially if your drive South to the desert. Make sure you plan plenty of stops and always have water and food in the car. You will often see those red signs. 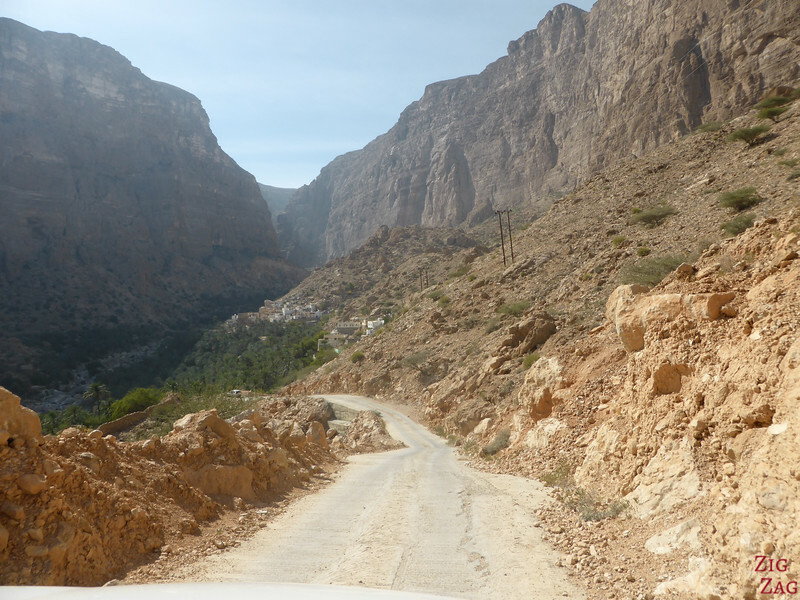 This is were the road is over a wadi or dry river bed. Most of the time there is no problem, but in case of heavy rain, use the red pole to evaluate the depth of water. Finally make sure you check the weather conditions. 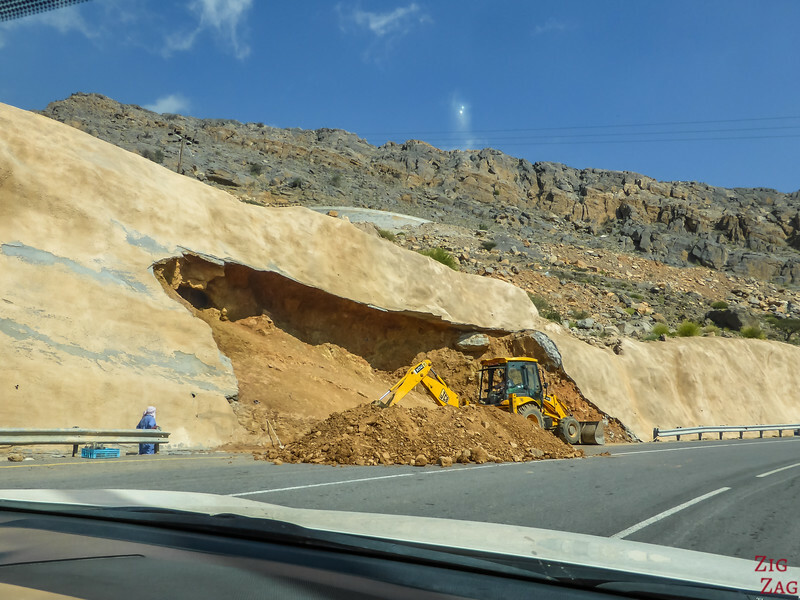 Do not drive in a wadi if heavy rains are predicted and be careful also after those big storms are the road my have been damaged. 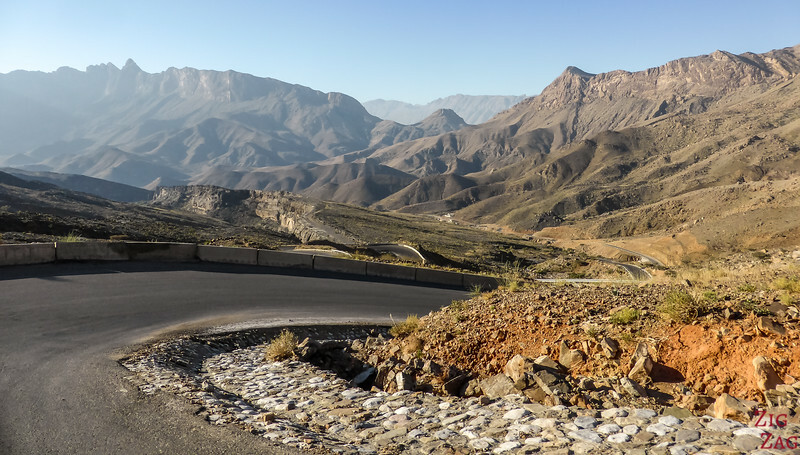 Keith has a god article where he describes driving in Oman. Generally I found it quite easy. I don't have any pictures during traffic jams. There are pick hours and some areas do get crowded. Muttrah where the Souq and Fish market are gets really busy and driving is very slow. 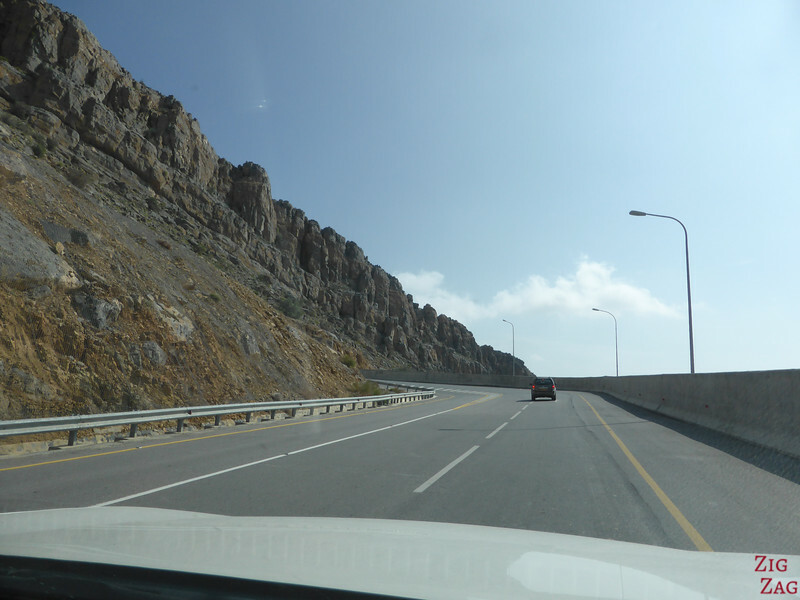 Driving on main roads in Oman is really easy. They are paved and quite recent so still in good conditions. Most of the time you have really good visibility. 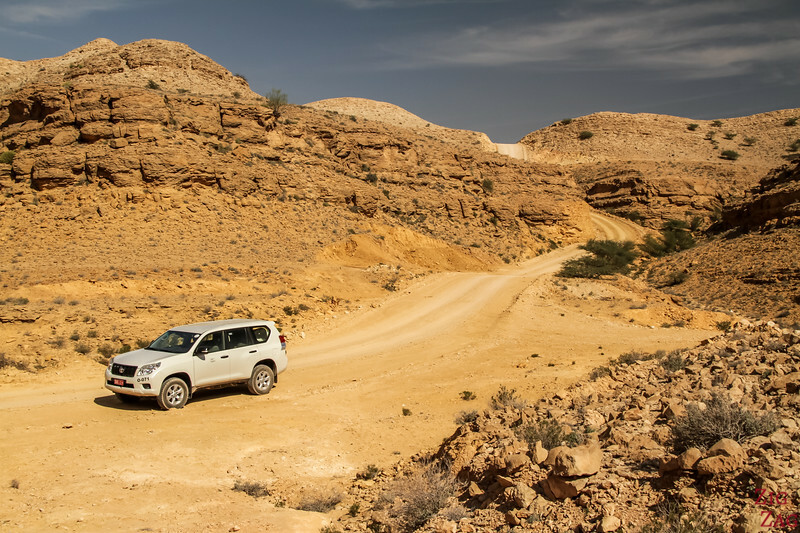 Some side roads through wadis and small villages (for example wadi Tiwi) might not been in very good conditions but I found it OK. Just drive slowly and it is not really difficult. If you stay to classic destinations in the mountains the roads are paved. 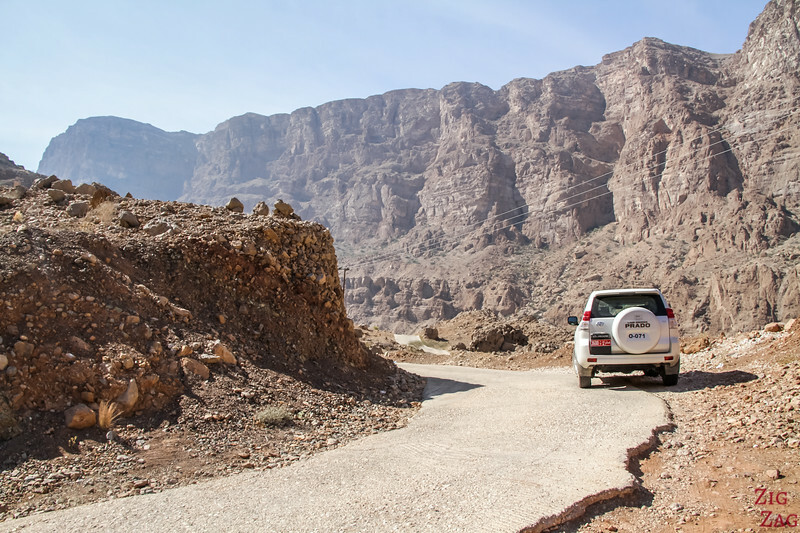 To get to Jebel shams the 4WD is not mandatory but strongly recommended. 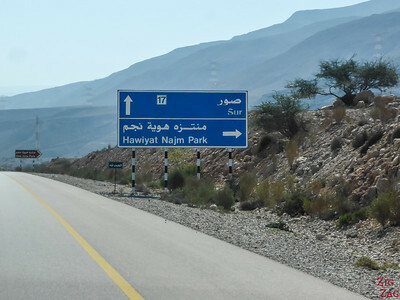 The road is paved except for 7km (as of Dec 2015). When I was there the dirt road was in great condition and not difficult. But rain can change it it in few hours! The main danger while driving in the mountains is the scenery. You get distracted! 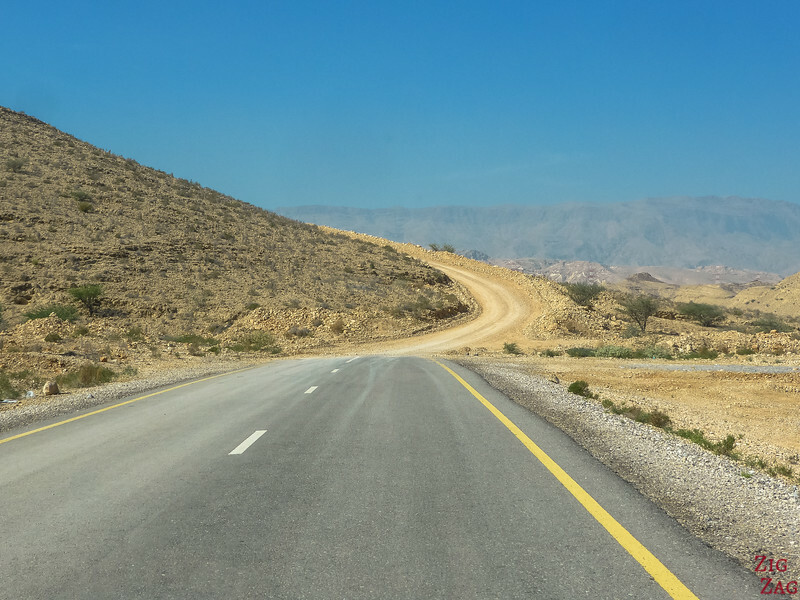 Ready to drive in Oman? 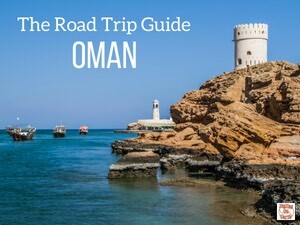 Oman is such a wonderful place for tourism, I am willing to go Oman twice a year by bus. but the matter of fact is I am living in South Asian country.